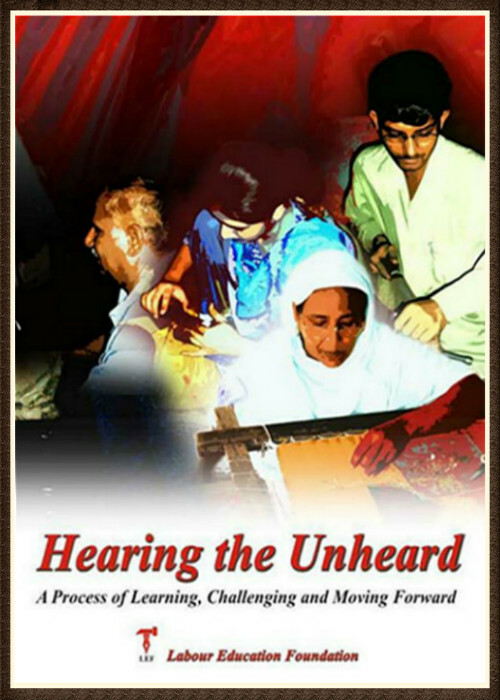 TITLE: “Hearing the Unheard A Process of Learning, Challenging and Moving Forward"
WHO IS THIS FOR: This series of stories/interviews can be used by trade union educators, study circle facilitators and activists in the labour movement. To document the transformation observed by The Labour Education Foundation (LEF) in various of its projects, a series of interviews with partners and beneficiaries was collected for this publication. Their stories focus mainly on Adult Literacy Centres and Home Based Women Workers Cooperatives, and record changes brought about by involvement in these projects, as reflected through social, economic and political awareness. A main objective of the publication is to highlight the willingness among communities to change their lives, if the chance is presented.